Well, this is frustrating. I’m now the proud owner of a Sony SmartBand, the activity-tracking wristband that records lifestyle events along with exercise and sleep data. But I can’t actually use the device because its essential, mission-critical software isn’t yet available on Google Play. I guess this is what happens when you receive highly anticipated consumer tech from Amazon before the hardware is even ready for sale. 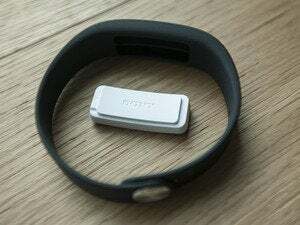 The SmartBand package comes with two rubber wristbands (the large one is shown here), along with the Core module, which records step and sleep data. 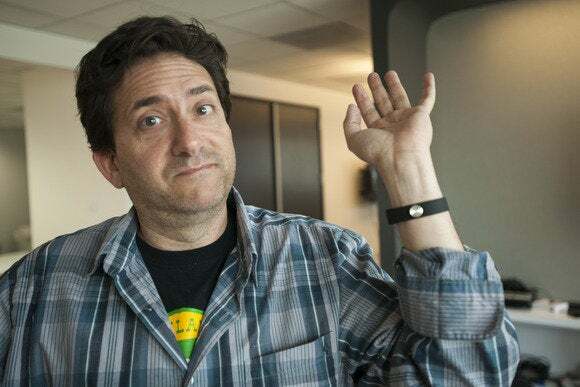 I’ve been waiting for this wearable ever since seeing it during a CES demo in January. Last month, numerous tech sites reported the band would ship in March, but on Monday (March 31) my Sony public relations contact told me that no loaner units were yet available. That was one day after I purchased the SmartBand on Amazon. In all my time covering consumer tech, I’ve never been able to buy a product online (or even in stores) before its official release. And make no mistake: Tech journalists usually get this kind of gear before the general public. Hey, Mywishlist LLC: My wish is for an explanation on how you received the go-ahead to begin shipping this product. 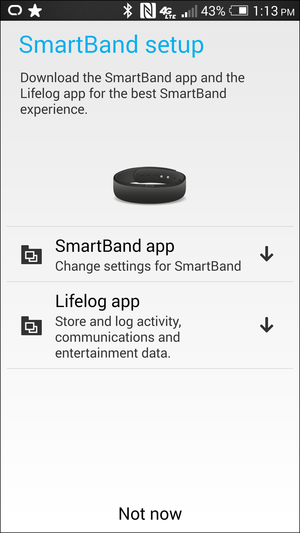 My SmartBand arrived via UPS on Thursday, defying all logic, especially because the device’s accompanying software—the SmartBand and Lifelog apps—aren’t yet available on Google Play. The company that invoiced my SmartBand purchase is Mywishlist, which appears to be dedicated to online sales through Amazon. I sent Mywishlist an email asking for clarity on how it came to ship a product that can’t actually work. Mywishlist offered me a full refund, which I declined. This SmartBand’s mine, all mine. 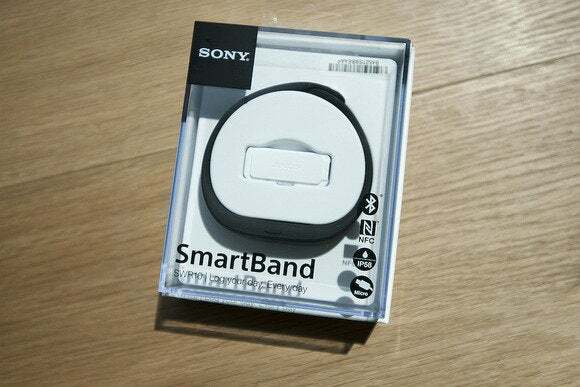 The SmartBand comes in slick, fun packaging that should be familiar to anyone who’s bought a Sony SmartWatch 2. Its instruction manual—if we seriously want to call it that—consists of four pictographs. It is perhaps the most vague instruction manual I’ve seen in my life. 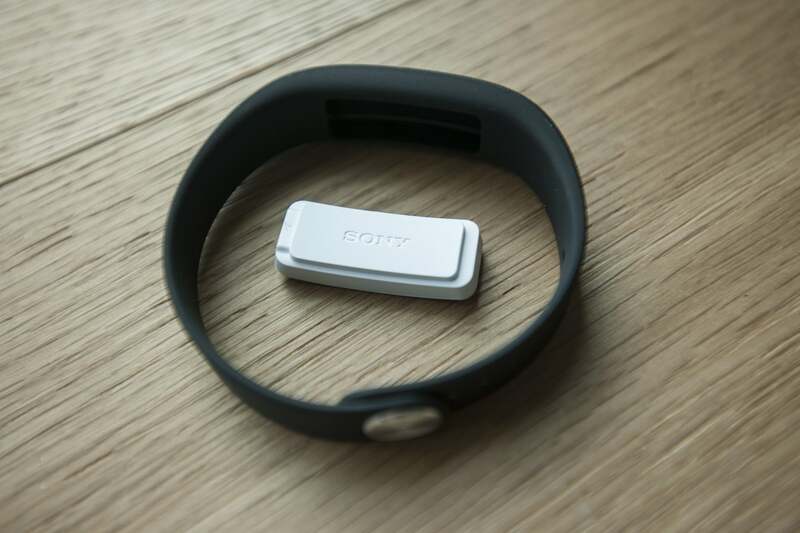 Step one: Charge the SmartBand’s Core module. Step two: Activate NFC on your phone. Step three: Pair the band with your phone. Step four: Kick back while the phone and SmartBand communicate. The pictographs didn’t spell out any of this, of course. I’m just translating. A manual search of my phone’s Google Play app yielded no results for the two essential apps. Ditto for a search of Google Play on my desktop browser. And nothing turned up during a Google search of a sideloadable APK file. In a nutshell: The SmartBand’s software isn’t ready, and the hardware, lacking any type of display, is useless without app support. The screenshot above says the software should be downloaded for the “best SmartBand experience,” but I couldn’t suss out any SmartBand experience with just the hardware that came in the box (small and large rubber wristbands, the system’s Core module, and a USB cable for charging). Shrug: I’m still waiting to actually begin using my new SmartBand. Or so it seems. I won’t really know until the software becomes available and I can finally test my Amazon purchase for myself. It’s a developing story. Watch this space as it unfolds. 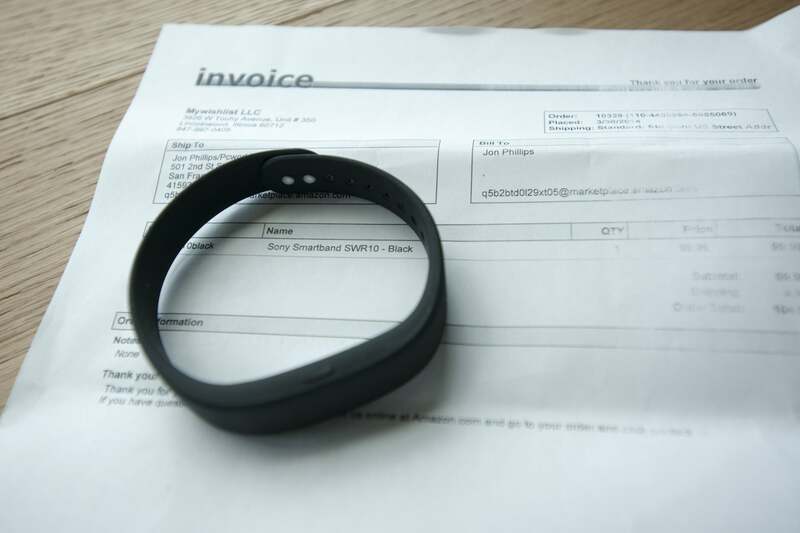 This story, "My Sony SmartBand arrived from Amazon! But its required software isn't even public yet" was originally published by TechHive.